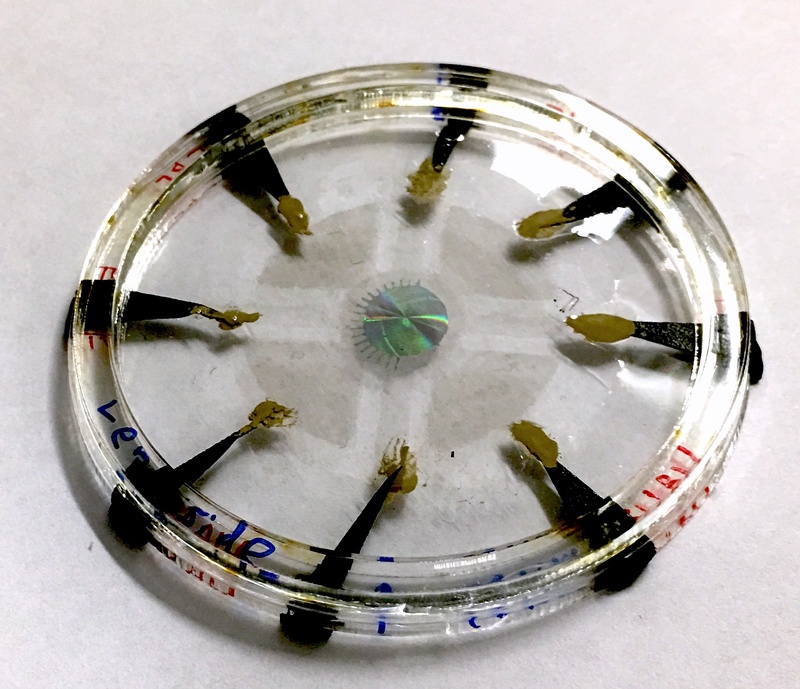 Photo of the actual device, in which the adaptive metalens (center) is controlled by embedded electrodes made of carbon nanotubes. 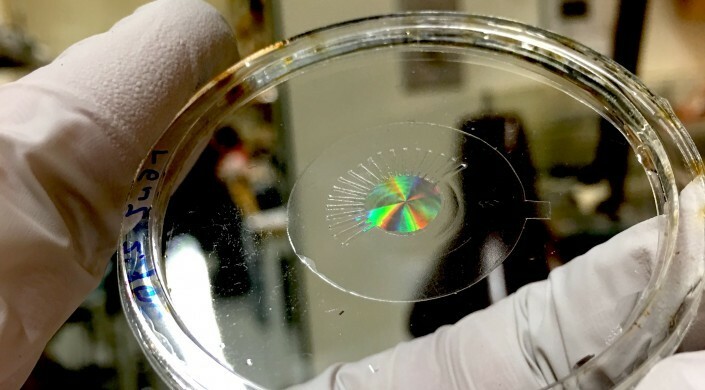 Photo of the metalens (made of silicon) mounted on a transparent, stretchy polymer film, without any electrodes. The colorful iridescence is produced by the large number of nanostructures within the metalens. 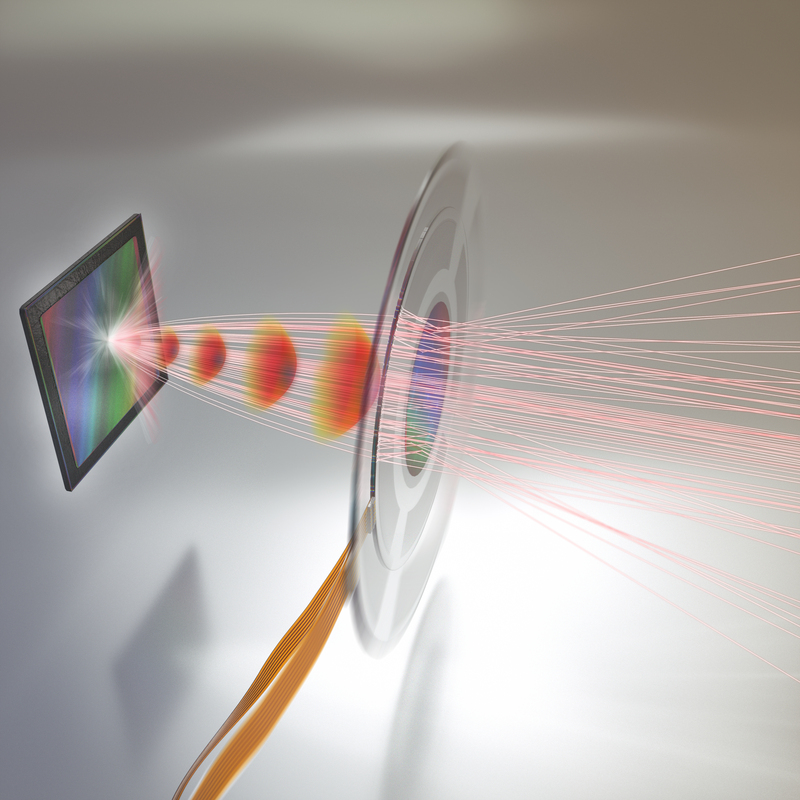 The adaptive metalens focuses light rays onto an image sensor. An electrical signal controls the shape of the metalens to produce the desired optical wavefronts (shown in red), resulting in better images. 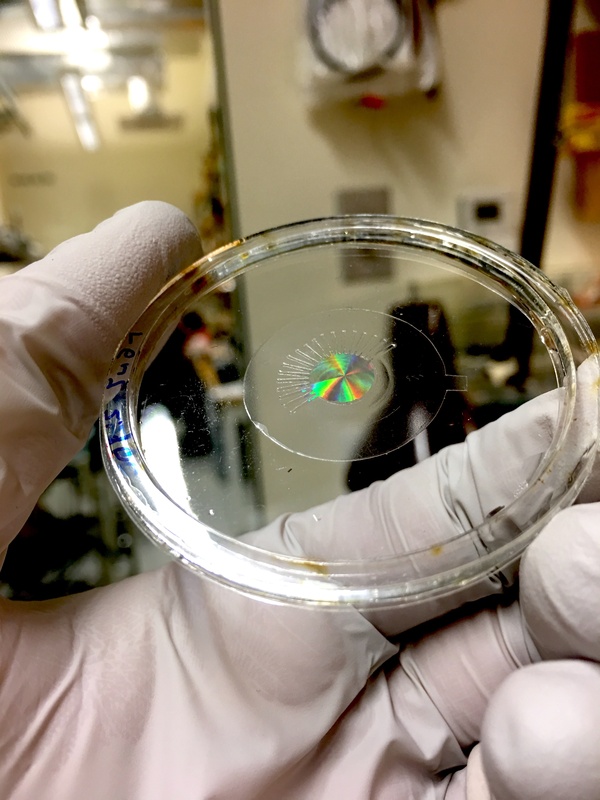 In the future, adaptive metalenses will be built into imaging systems, such as cell phone cameras and microscope, enabling flat, compact autofocus as well as the capability for simultaneously correcting optical aberrations and performing optical image stabilization, all in a single plane of control.